Iowa County, WI is located between Mount Horeb and Fennimore in south western part of the state along the Wisconsin River. 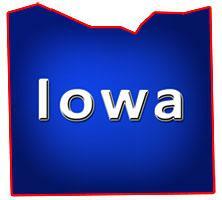 Iowa is known historical locations, mines, rolling hills, agriculture, parks, wildlife, snowmobiling which also has Lower Wisconsin State Riverway, Tower Hill State Park, Black Hawk Lake Recreation Area, Governor Dodge State Park, Blue Mound State Park plus a couple communities including; Mineral Point, Dodgeville and Waldwick. It's surrounded by 6 other Counties; Richland, Sauk, Dane, Green, Lafayette and Grant. On this page you will find Lakefront Properties, Riverfront, Private Ponds, Creek Frontage, Stream Frontage, Waterfront Cottages, Waterfront Lots and more located in this county listed by real estate agents. Iowa County, Wisconsin GIS MAP Information!